Exercise has been known to provide a vast variety of benefits, boosting both physical and psychological wellbeing. It has positive effects on mood, self-esteem, happiness, and wellbeing by increasing the feel-good chemicals in the brain called endorphins (dopamine and serotonin). This release has also been associated with the prevention of, management and treatment of depression. Exercise has even been shown to be as effective as some antidepressant medications. Increase your sense of control, empowering and help you regain control of your life. Exercise may feel like a challenge to begin with and you may feel you’re not fit enough or cut out to have an exercise routine (especially the intense regimes), but you don’t have to be an exercise fanatic to begin exercising! If you haven’t exercised for a long time (or even a little time) it can be difficult to get back into a regular exercise routine. Not only that, but it can be even more difficult to stick to the routine. And for those who have never had an exercise routine, the prospect of beginning to exercise may be quite daunting. Note: It is wise to consult your doctor prior to beginning a new exercise routine. Start small and set realistic goals – You may want to begin with walking the dog or choosing to park your car further away from where you need to go and walk the rest of the way. You may feel a sense of achievement with each small and realistic goal you meet, and this also makes it a positive experience that encourages you to continue to exercise. Find an exercise buddy – This will help you, and your buddy, stick to a routine. You will also be able to motivate and encourage each other. Find a club or group to join – This could be a walking group, a football team, or a yoga class. This will provide social connection and a set training or game schedule that because of your commitment, you may be less likely to procrastinate or postpone. Join a gym or hire a personal trainer – Once you have a membership at a gym, you may then not want to waste your money and feel more inclined to take advantage of the services. 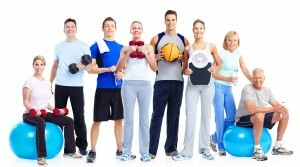 Hiring a personal trainer is a great way to get an exercise routine tailored to your needs. Try to find 30 minutes each day dedicated to exercise – These 30 minutes can be spread across the day to suit your schedule. You may like to do three 10 minute blocks of exercise, or even six 5 minute blocks. Maintain a positive outlook – Try to focus on the benefits you will receive from exercising, and reward yourself for your commitment and achievements. Depending on the intensity and duration of the exercise (and of course your physical composition), there can be variation in when you may feel the benefits. Don’t be disheartened if you don’t immediately feel better. The important thing is to stick to the routine and know that even if you don’t feel it, your body and mind will be grateful for your dedication and you will likely feel the effects soon. If you would like to find out more about depression counselling, treatment for depression or Perth psychologists, contact us today. North, T.C., McCullach, P., & Tran, Z. T. (1990), “Effect of Exercise on Depression”, (Exercise and Sports Sciences Reviews), Available: http://journals.lww.com/acsm-essr/Citation/1990/01000/Effect_of_Exercise_on_Depression_.16.aspx (Accessed: 2014, September 18).